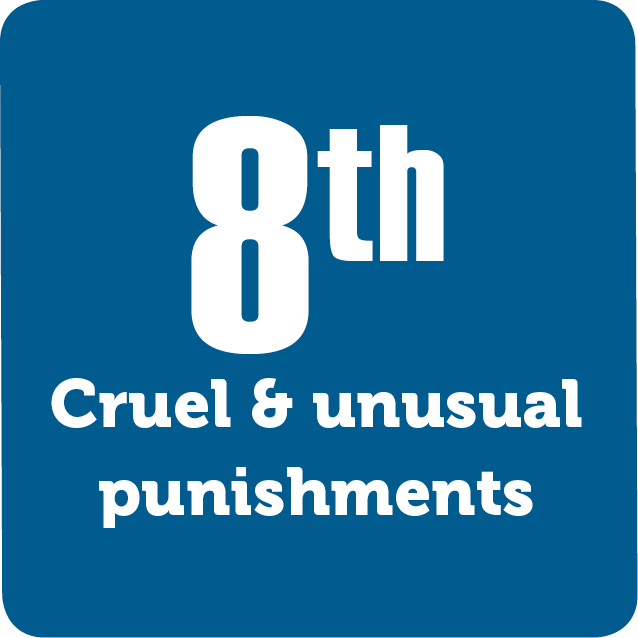 The Eighth Amendment is the fourth consecutive amendment that protects the rights of the accused. The amendment can be broken down into three clauses: Excessive Bail, Excessive Fines, and Cruel and Unusual Punishments. The imprecise wording of the amendment leaves much interpretation up to the courts. Over time they have decided, and re-decided, what the terms excessive, cruel, and unusual all mean.